While vampires and werewolves might be the staple in some cheap TV series, other great ones and a bunch of other media, it’s been a while since we got an honest to god representation of the blood sucking race in games. Dontnod, best known for games such as Remember Me and Life is Strange, have been punting their own take on this very idea for sometime. 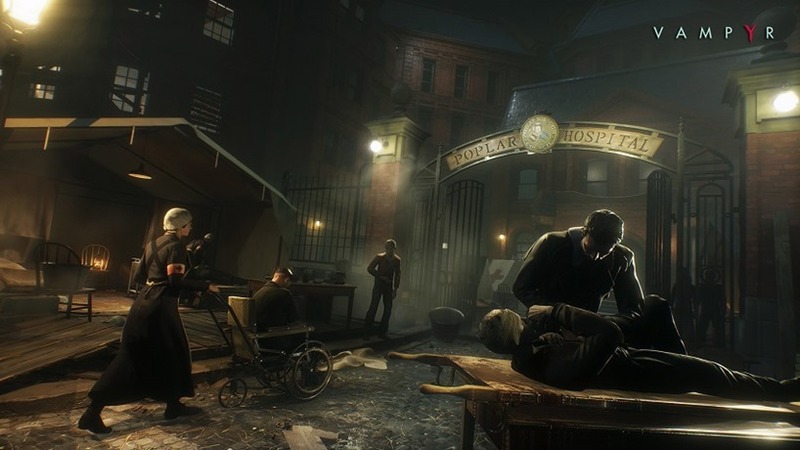 Vampyr was meant to be the big, consequence filled action game that would hopefully not have been lost in the whirlwind of releases at the tail end of this year, but we’re going to have to wait a bit longer for it. Previously slated for launch later this year, Vampyr has now slipped to the American Spring of 2018. Dontnod CEO, Oskar Guilbert, explained in a press release that the team has been hard at work getting the game ready for the year, but a late technical hiccup held up production for longer than desired. As such, the game needs more time in the undead oven, and will have all the extra time it needs to polish itself up. And it’s a real shame we have to wait, but I’m all for it if it means Vampyr releases in the best possible state it can. The game has some ambitious ideas, most of which rest on the moral choices you’ll have to make as a walking member of the blood sucking race. Humans are your food source, but their deaths will also have an immediate impact on the semi-open world around you. Who you mange this “resource”, so to speak, is what might push Vampyr above previous attempts to capture this cult theming. This holiday season is full of amazing looking games already though, so perhaps a slight delay for a bit more visibility might not have been a bad thing either.